Perfect for relaxing after a long day, this transitional upholstered chair is as comfortable as it is stylish. 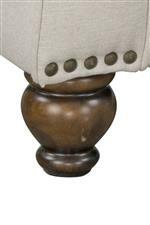 Both of the seat and back cushions are removable and reversible, ensuring longer lasting comfort and support. 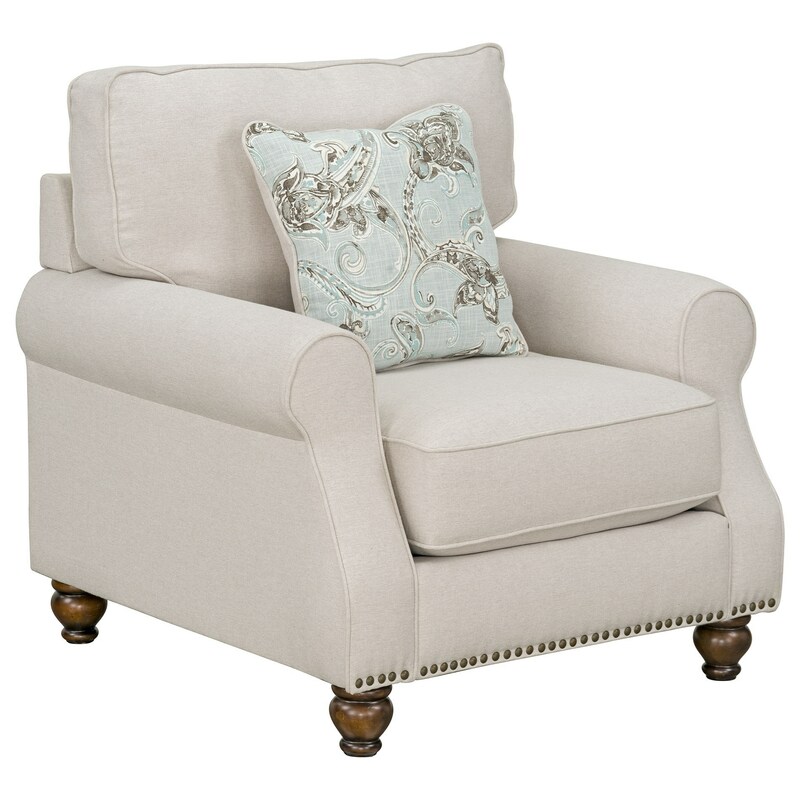 The included accent pillow adds to this comfort while the rolled arms, nailhead trim base, and classic bun feet give off an elegant charm that is ideal for any living room. The Angelina Transitional Upholstered Chair with Nailhead Trim Base by Standard Furniture at Zak's Home in the Tri-Cities, Johnson City, Tennessee area. Product availability may vary. Contact us for the most current availability on this product.